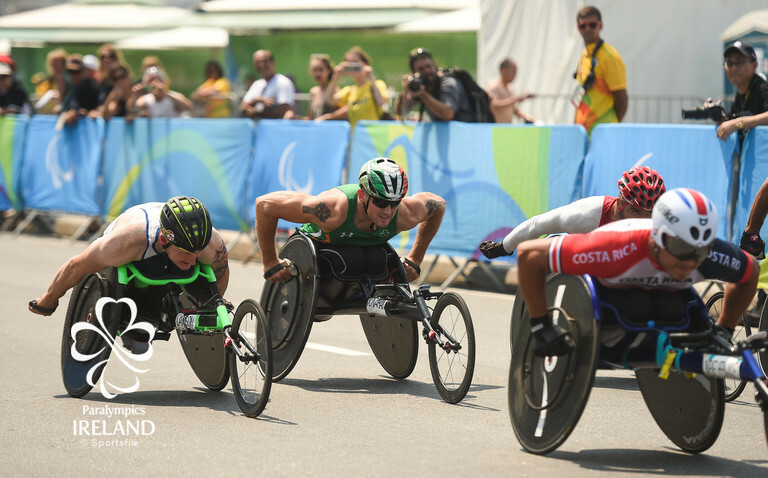 Inspired by what he saw at London 2012, Patrick Monahan became involved in wheelchair racing in recent years, and has successfully defended his title as wheelchair winner of the Dublin marathon. The Kildare man also won the Columbus Ohio Marathon in 2015 where he broke the Irish record by seven minutes. Patrick qualified for the Rio 2016 Paralympic Games, for both the 800m race and the Marathon. Unfortunately he was withdrawn from the 800m event, on medical grounds, but placed 16th in the Marathon with a time of 1 hour 40 mins 26 secs.